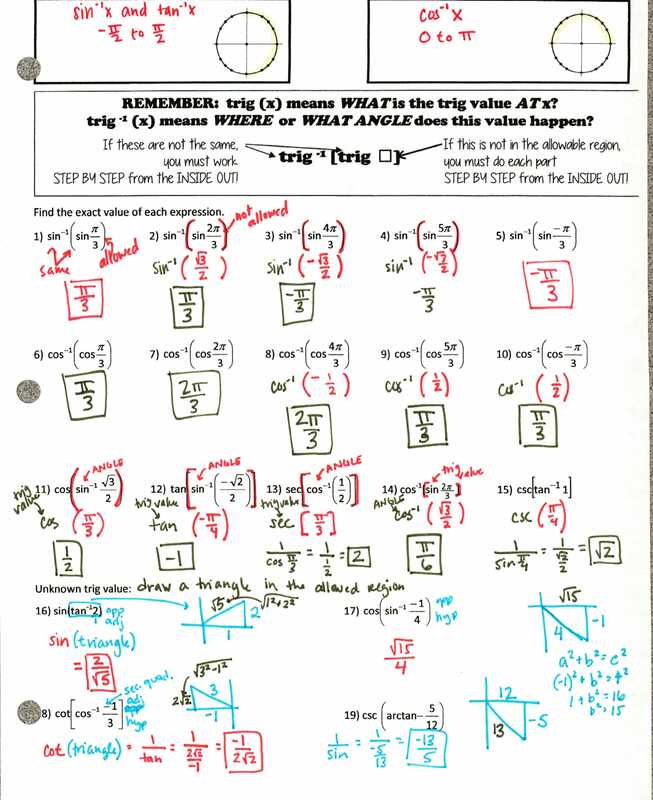 Precal Files: Dude, I Could Trig All Day. 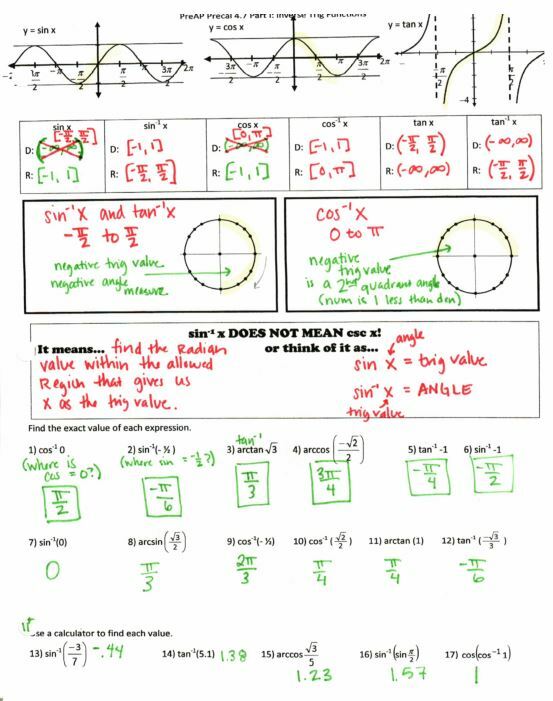 tl;dr: Files for unit circle, graphing trig, and inverse trig functions. 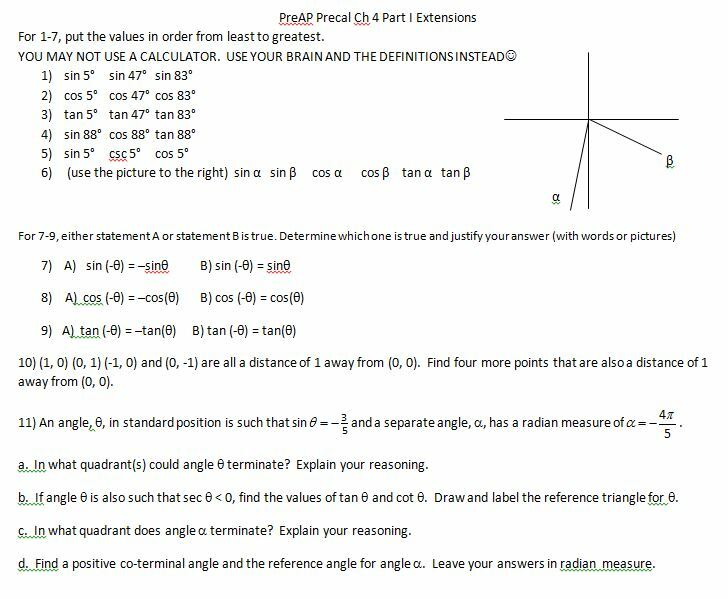 So I’m going to post my precal files in the order that I taught them (see more of my precal files and FAQs here). 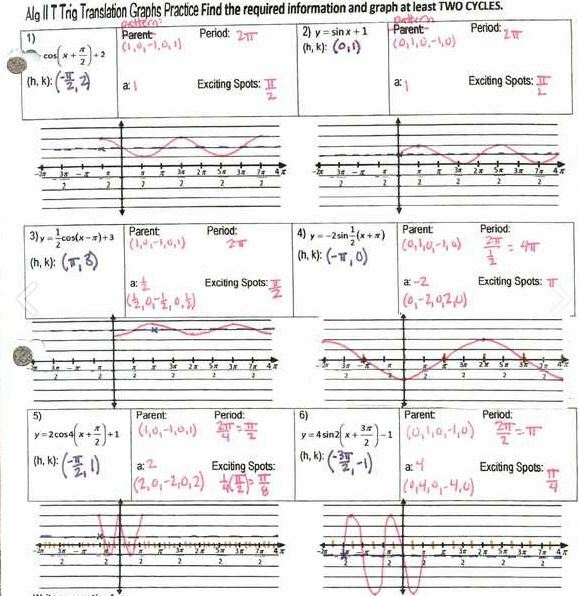 I met with a PreAP curriculum committee at the beginning of last school year, and they suggested that we do all the trig stuff in the fall, then go all the way from functions -> quads -> polys -> exponentials -> rational -> limits -> derivatives in the spring. 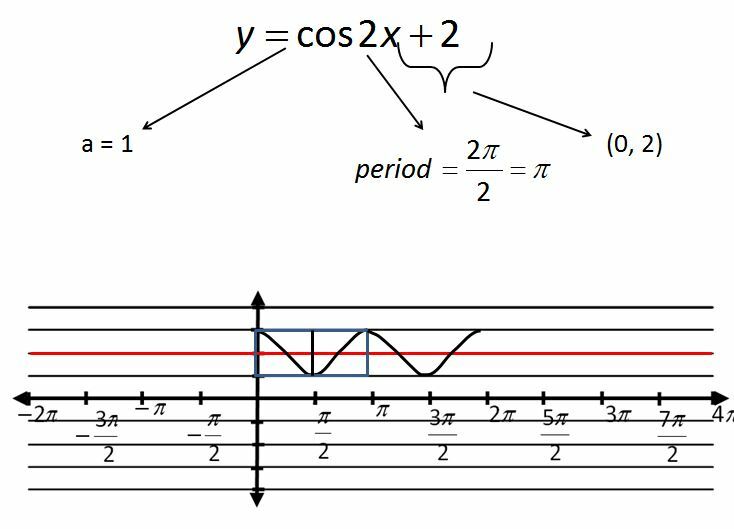 It did work really well in the spring, but I need to do better at spiraling back to trig–I have a fear they won’t know what sin of pi is next August! 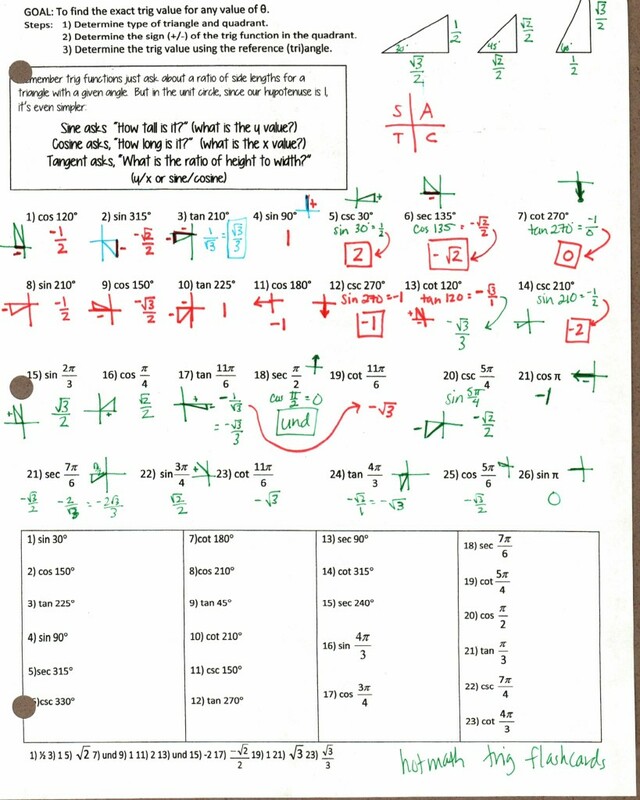 Then angles review, but I think I like the worksheet from Algebra II better. File here. We also talk about the hand trick. 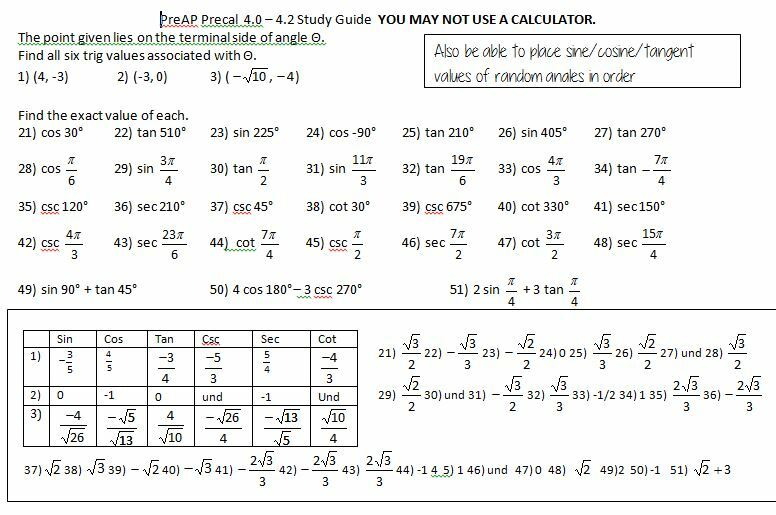 The hotmath at the bottom is for one of the better trig value flashcards website I’ve found. 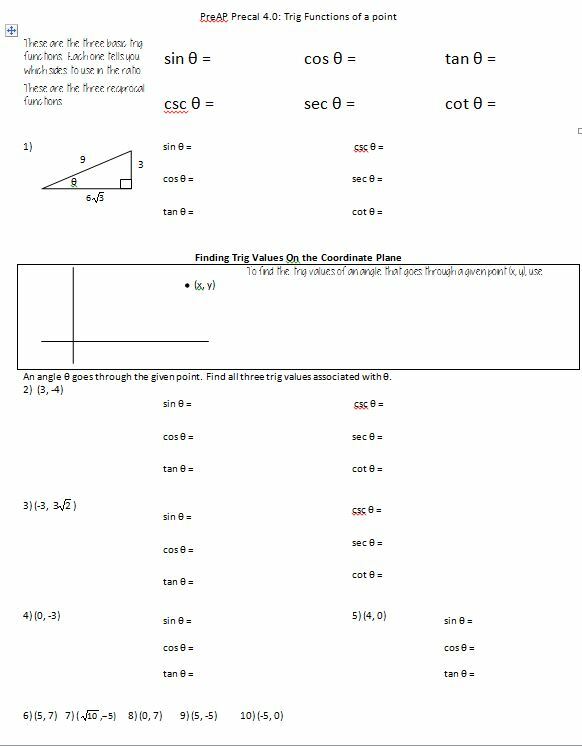 I use a worksheet from an Algebra II/Precal joke book for homework (which I just learned is frowned upon? I must say that these are usually well done and have some good questions that catch conceptual errors). At this point we stopped, reviewed, and took a small quiz. 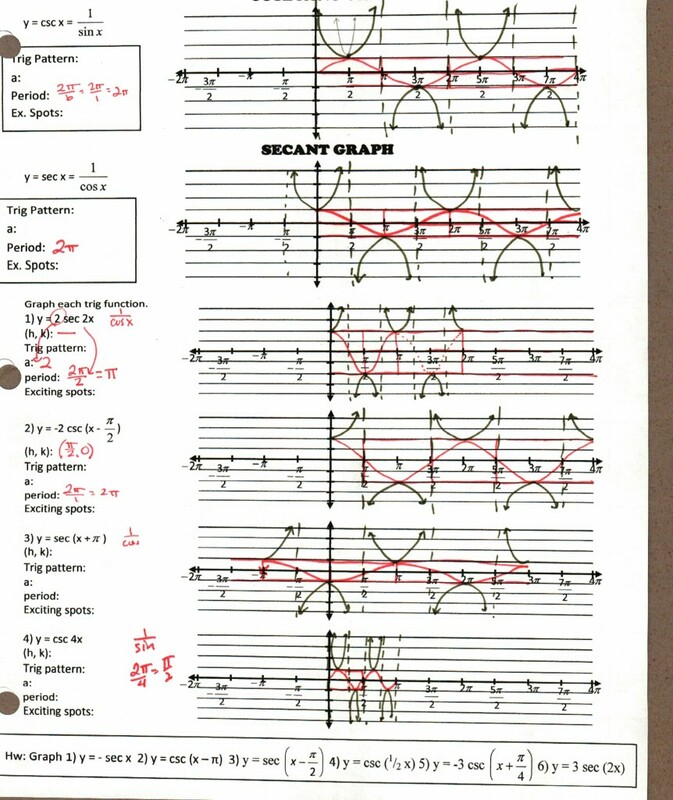 Then it’s onto graphing. This is about the time I first learned about the windowpane method, so I taught some classes one way, some the other, and some both. This shows the window pane. File here. This should have gone faster, but took over a day. The graphing from scratch at the top was like pulling teeth. Then we did a real life sine problem from Math Teacher Mambo. File here. 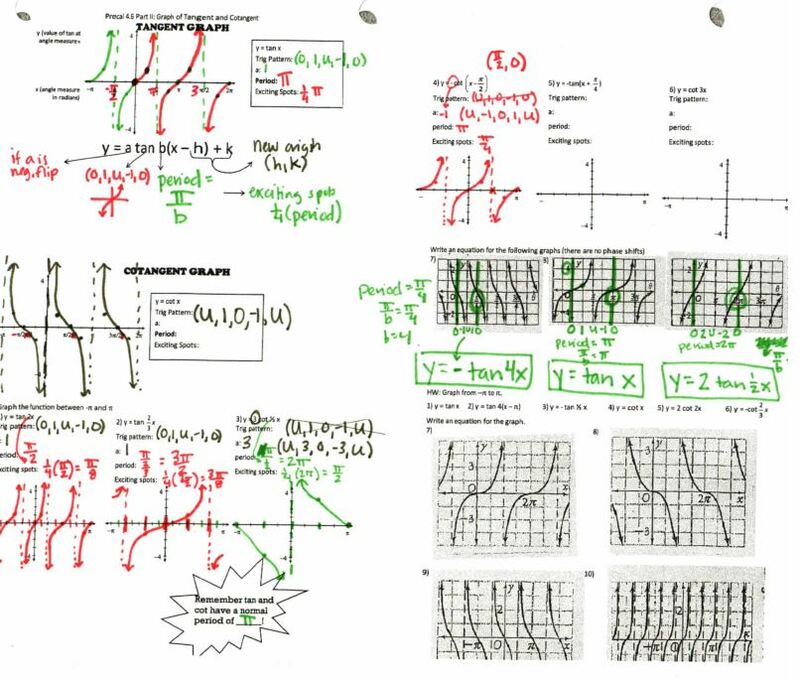 I teach cosecant and secant graphs using a suggestion from a student: we sing “The Grand Old Duke of York,” since when you’re up, you’re up, when you’re down, you’re down, and when you’re only halfway up, you’re neither up nor down (asymptote!). File here. 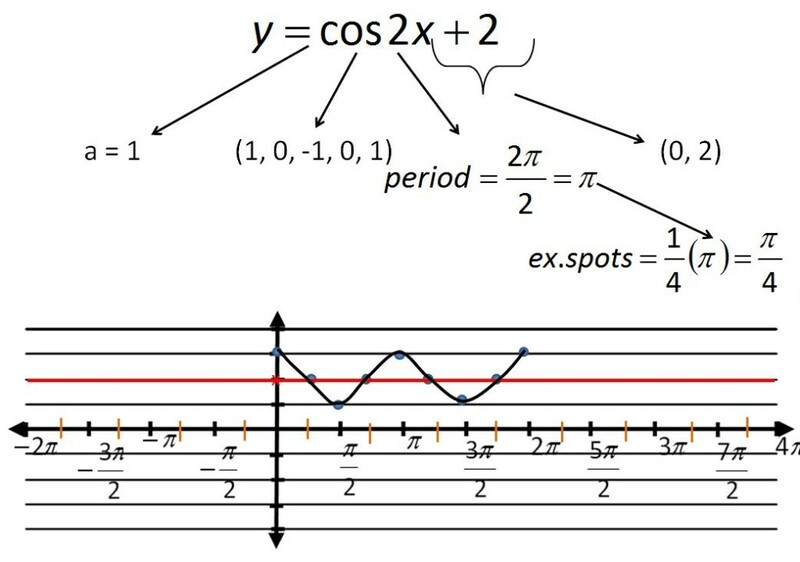 This is another example of the “exciting point/pattern” method of graphing, which looking back, I think I like better. Or maybe I need to come up with some hybrid. 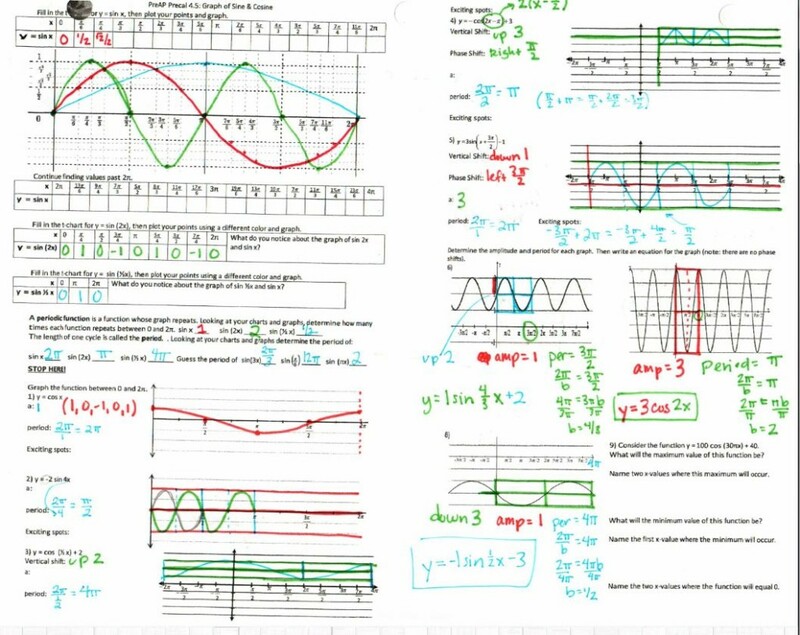 Then, because it ties in so well with graphing, we did inverse trig functions in this unit. File here. *Note! 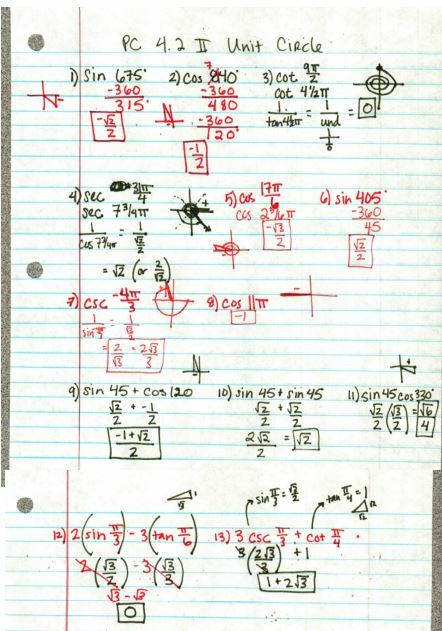 The answer to #17 should be pi/3, not 2pi/3! It should be fixed in the file. Thanks to Chikae for spotting that! File here. 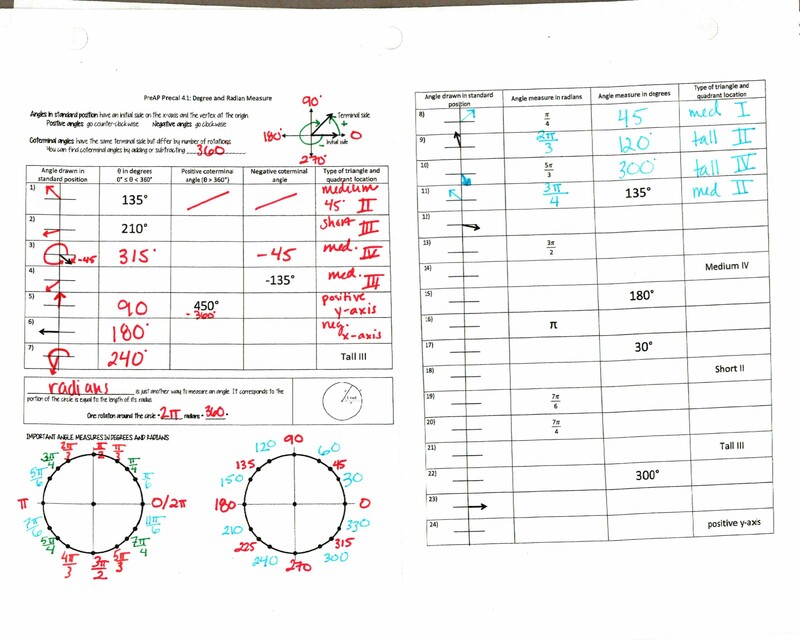 And, yes, it comes complete with review powerpoints (that could also be used for whiteboard practice). And they come in both exciting points and windowpane varieties–choose one or both! Exciting Points file here. 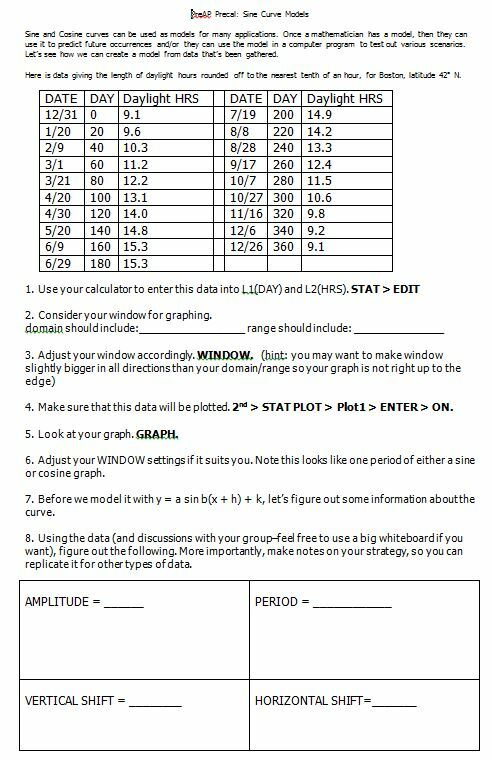 Windowpane graphing file here. But wait there’s more! 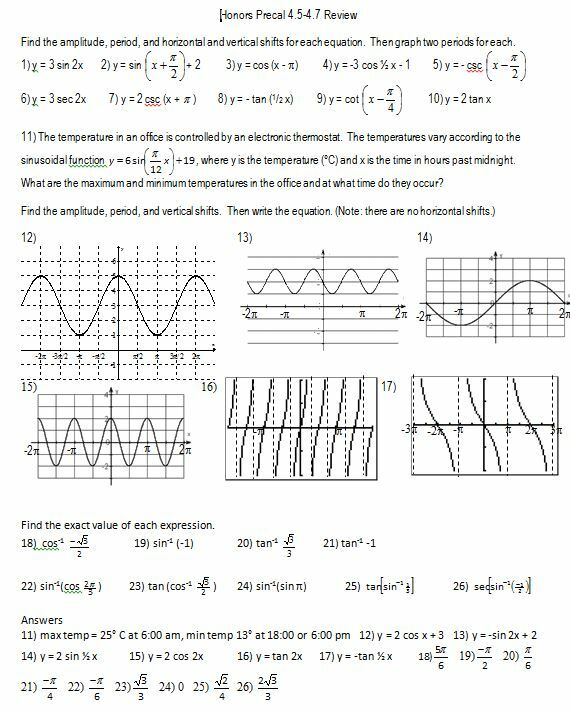 If you act in the next 20 minutes (just like the real commercials, the 20 minutes starts whenever you read this 🙂 ), you can get a video of me working out some of the study guide problems! #11-17 video here and #18-26 here. I post these the night before the test and the students who watch them are very appreciative.